I have tried many "ring" candles over the past year, and always am left disappointed. The smell was no right, I didn't like the ring, and customer service was . . . lacking. 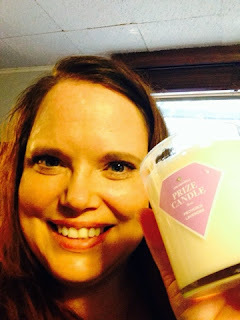 When I was asked to review a Prize Candle, I was expecting to be disappointed, and instead . . . well, I found my newest addiction! Links in this post are affiliate links, but will not impact your shopping experience! Ok first, these come so well packages. They each come in the most adorable pink and white box, which is PERFECT for gift giving. I love the colors! The next thing I noticed right away was the smell! I got the Provence Lavender. It was a lovely smell, and was so relaxing. I burned it the first night and LOVED the smell! I am VERY picky when it comes to scents, but this candle was amazing! I also will add that I tried a Peony candle (no longer available-- PLEASE PLEASE PLEASE bring it back Prize Candle!!!) and was just thrilled with that scent as well. Since my first review, I have also tried two more scents and they were just as amazing (I told you all I was addicted!!!). 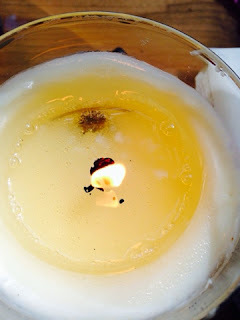 I had to burn the candle for 2 complete days until I could get my ring. Ok, I will be honest, I have have dug it out just a little! I just love the surprise of a ring inside! It is so much fun! My kids all wait until we can remove it as well. The ring was stunning. It was only worth $10, but I love that it includes a code. 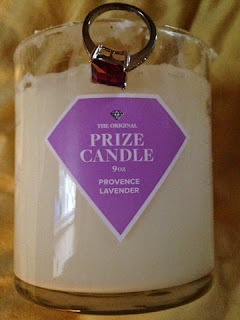 You look up the code on their website to discover the value of your Prize Candle (which is MUCH better than trying to find a stamp and then needing to bring it to a jeweler!!!). This red stone was stunning, and I think it is perfect for Fall. And of course I ventured to the site and they now have Pumpkin Spice AND Autumn Magic scents! So excited! 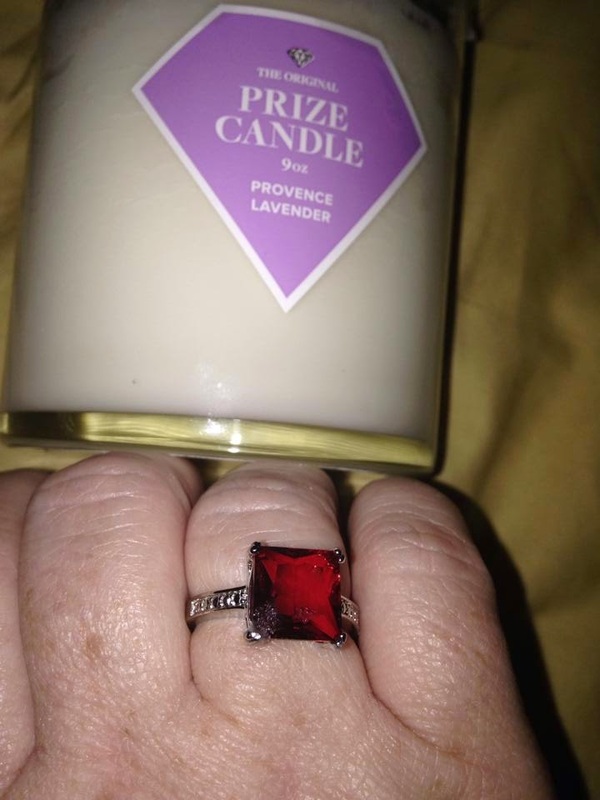 For only $24.99 you get not only a fantastic candle (that you will burn LONG after your ring), but you get a stunning ring as well! And if you CLICK HERE you will save $5 off of your first order! 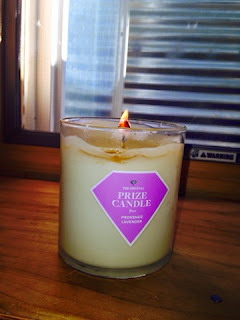 MamaBreak received a Prize Candle to review here on the website. The links above include affiliate links.